Since 2010, we have been collecting materials, published at home and abroad, that are associated with the environment. Kanazawa University promotes environmental education programs for both undergraduate and graduate students as a part of our midterm plan. The collection will be utilized as its basic materials. The collection is available at the Natural Science and Technology Library. You can find the collection on the special shelves on the second floor of our NST library. You may borrow books from the collection through the usual procedure. 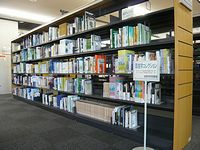 We have also collected electronic books regarding the environment. You can access them through the internal LAN at Kanazawa University. 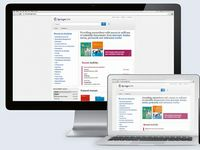 E-book titles on are served through OPAC plus, our online retrieval system. The audio-visual booth, placed adjacent to the shelves with the collection, is available. It is designed not to leak too much sound. 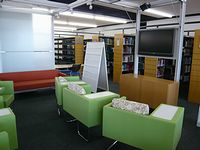 Some materials are available only for use inside the library.